Bowhunting is supposed to be fun, but it can become stressful and even a burden if you find yourself stuck in a rut. It’s easy to get stuck in a rut, and I don’t mean in the 4x4 on some no-name dirt road. I mean in our jobs, our marriages, etc. We don’t want to upset the apple cart at the office, so we hide our heads in the sand and go along with the norm. After all, the norm is easy, the norm won’t land us in trouble. We may hate it, we may have a better suggestion that could help the company, but actually making that suggestion presses us outside that all-too-familiar comfort zone. In our marriages, especially for those of us who’ve been married for many years, we get too comfortable. We forget to do something spontaneous, to leave a note, to go out to dinner, to tell our spouse we love them. We often don’t notice ruts until things get buried up to the axles. We blow our top at work or have the fight of the century at home. Sound at all familiar? Ruts happen in bowhunting, too. A lot. I don’t know about you, but I’ve been buried in many a bowhunting rut over the years. And it’s not just me. I pooled the advice of some of my closest bowhunting brothers, including my friend and legendary bowman, Bob Robb. He’s been creeping around the woods with a stick and string for decades. 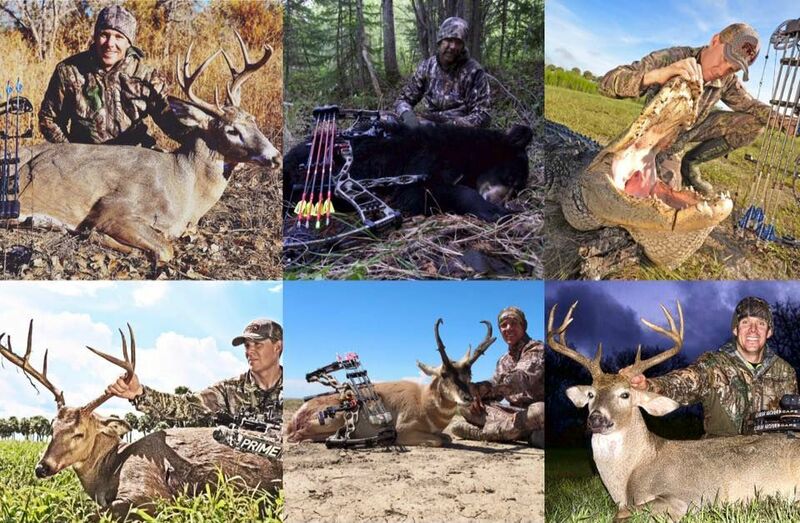 Here are a few ruts and roadblocks that Robb, my other bowhunting buddies and I have found ourselves in over the years — ones I suggest you avoid if at all possible. Hunting the same elk woods year after year simply because the terrain is familiar and taking the time to figure out a new area, even though success rates in your area have become dismal, is just too much work. Taking to that same subpar whitetail stand for another year because 10 years ago it produced a Pope & Young buck. Not wanting to take part in a new venture such as bowfishing because fish don’t have horns and jumping into a new sport requires new gear, setup time and the like. Dreaded mental and physical ruts. You know that fall big game seasons are fast approaching. You know there are countless things you need to do to prepare yourself to be effective in the woods: shoot 3-D, tinker with new gear, match-tune your broadheads to your bow, get in better physical shape, etc. We put these things off day after day. Then, because of our laziness, we miss those opportunities that solid preparation would have delivered. Hunting the same single species season after season. Refusing to branch out and explore other big-game possibilities close to home. Stretching yourself too thin. Jumping from state to state trying to fill too many tags. Making pre-season plans to hunt an array of places. Then, once season arrives, realizing the stress and financial burden of such plans. Hunting the same property or stretch of public land for whitetails and turkeys and not looking for new, better ground. Being unwilling to give traditional archery a go due to the worry and stress of unfilled tags. Sticking with a hunting partner that, in year’s past was gung-ho and always did more than his share, but now is always one step behind and/or has excuses why he’s late, can’t help with all the work, etc. The negativity and lack of dedication begins to bring you down. These, of course, are but a few bowhunting ruts. I’m sure you have your own. The key is identifying the rut and then getting out of it. Think of it this way: When the 4x4 sinks to the wheels, we don’t abandon it and leave it in that same spot for the season, do we? No, we dig, push and pull until the truck is out and we’re back on the hunt. I suggest you take a moment to write down a list of bowhunting goals for fall 2018. Then think about any ruts you’ve been in that may prevent you from achieving set goals and make a plan to get out of them.